A Prineville resident got stuck in the mud not once, not twice, but three times over the course of this past weekend at Ochoco Reservoir. 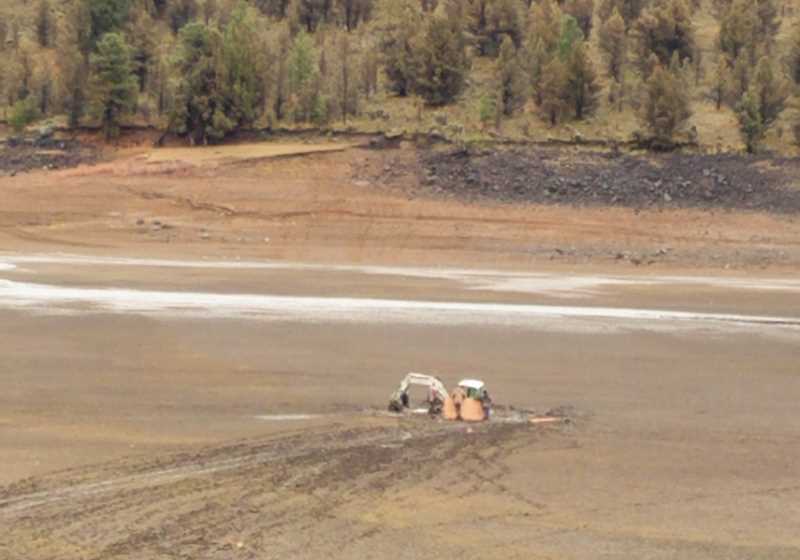 According to Bruce Scanlon, the manager of Ochoco Irrigation District, which owns the reservoir property, area resident took his side-by-side Razor ATV out onto the mud flats near the body of water on Friday. "He didn't know that there is some pretty significant, essentially quicksand sinkhole type things out there," Scanlon said. "He ended up getting it stuck." Hoping to retrieve the stuck ATV, the man reportedly took his mini excavator out onto the mud flats to pull the recreational vehicle free. It didn't go as planned. He got it stuck as well. "Then following that, he rented an excavator and went out and was able to get his Razor unstuck," Scanlon said. Problem was he managed to get the rented excavator stuck in the process. "I was told Sunday night they were able to get the first excavator removed," Scanlon said Monday morning, but added that the other one was still in the mud. For Scanlon, the whole ordeal is a cautionary tale for anyone else who might consider taking a spin on the muddy banks of Ochoco Reservoir. "I just want to point out that it's a safety hazard for people," he said, "and that the reservoir below the high water line is private property. It is a liability for us to have people out there engaging in activities that could be unsafe. This is going to turn out to be a very expensive little joyride."